The Gaelic Athletic Association may not always have been about a lot more than sport, but today it exemplifies everything decent Ulster Brits detest. And Jim Allister of TUV has told the truth about Peter Robinson and his DUP’s appeasement of the disloyal minority who delight in GAA activity. Nelson McCausland lavished £60m on the GAA as Sports Minister last year and now Peter Robinson happily sits under the tricolour to watch two teams play whose county officials boycotted the Queen‟s visit to Croke Park! Probably not many mainland Brits realise what a rancid rat’s nest of treason the GAA actually is. Please read Jim’s statement! ; IRA members, Bateson, Sheridan, and Lee, who blew themselves up as they primed a bomb, intended for the centre of Magherafelt in the early 70s, have a yearly GAA event called after them in south Londonderry, where terrorist Francis Hughes has a trophy named after him. A real rats’ nest. It would be no bad thing to close down the lot of them. In fact I had a vague notion that glorifying terrorism was currently against the law in the United Kingdom. But then Robinson’s pal McGuinness does not accept that Ulster’s place is rightfully within the UK. There was a time when these things mattered – indeed at one time Nelson McCausland made an empty threat to withdraw GAA funding because of these calculated insults to innocent victims – but now his leader can sit oblivious to all this to cheer on teams from counties which epitomise the ease with which the GAA celebrates IRA terror. Jim is right on here. But the issues are much larger than GAA=IRA! Even before the latest SNP announcment that a breakaway Scotland would NOT join the Euro, the situation in Edinburgh is generating much interest across Ulster, and Alex Kane had an article in the Newsletter several two weeks ago, much of which was good sense, on the different referenda results which might occur in each part of the UK. But one segment struck me as the most demanding of our attention. Northern Ireland is a different matter altogether. It would not be leaving the UK to become an independent country: it would be leaving to become part of an independent united Ireland, something which hasn’t existed for at least 800 years. SEZ WHO? This may be how the elites in London and Dublin see it, but such an outcome is surely quite out of the question as far as Ulsterfolk are concerned. Even Mary Kenny, in her article in the Irish Independent we posted on a few weeks ago, implicitly recognises that, when she asked if future sovereignty over Rockall would devolve to the Tricolour or the Red Hand! 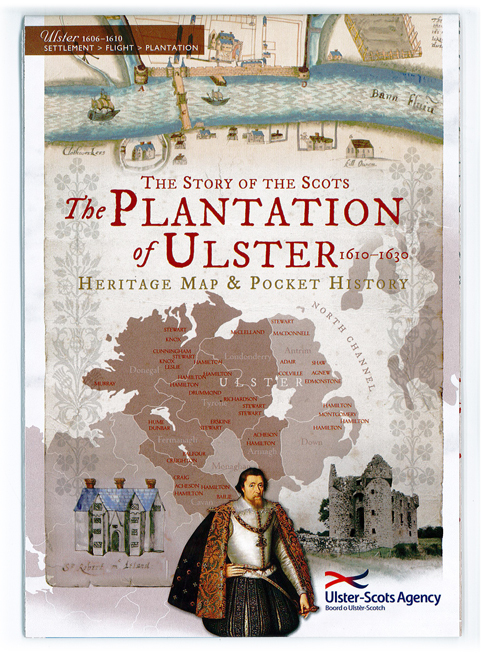 Ulster is as much an ethnic identity, a nation indeed, as Scotland, England, Wales or even Eire. As such, it is as much entitled to a homeland, a territory to call its own, as any other people in the world, and without looking up the UN’s various charters on self-determination, this is undoubtedly a principle recognised internationally. Times Change. Borders Change. But Ulster is Eternal! If the dark day dawned when a referendum came out against continuation within the UK, there would be a need for an immediate re-partition across Ulster, with transfer of populations where appropriate. There could be no justification for imposing foreign rule on the Ulster nation, especially if the majority for withdrawal had been achieved by the sort of ethnic cleansing in which IRA/SinnFein engaged as a matter of deliberate policy for forty years. I talked to an American friend a year ago, who had been there, and he took the view that many of the Ulster British had come round to the view that their future was inevitably in some form of union with Eire. If you get kicked in the teeth repeatedly, you tend to lose faith in the affection, never mind the fidelity, of the kicker. And if you’re told you’re not really wanted, merely tolerated, in your own country, and if you shift to another allegiance, it’s no big deal, and probably a lot easier all round, old chap, then yes, Bill, some of them will tell you that their future might be in some form of union with Eire. But that’s because the evil Good Friday Agreement did NOT spell out Ulster’s rights as a nation within the UK, or outwith that realm. If Ulster is forced out of one union, it has every right to stay out of any other union. Any attempt at annexation would most likely be opposed by force of arms, and rightly so. Ulster would fight, and Ulster would be right. once again jim allister is the only man to speak up for loyalist population well done jim! ulsters loyalists and unionists have a place in a united ireland, the republic would amend all its constitutions to protect the minority. Gurn up and accept the inevitable. Gum up? There’s a true Sinn Fein/IRA concept of free speech. There’s nothing inevitable about aggressive and meritless expansionism. Eire got its independence on the principle of self-determination – pity it arrogantly denies that principle where Ulster’s concerned! Ross, if you’re living in our Country and the majority of the North (please don’t say Ulster, as a Donegal man I find it offensive you think you speak for my County, you certainly don’t) self determines itself to be Irish and once again part of Ireland, then so be it. orry, Erin, that is without meaning! 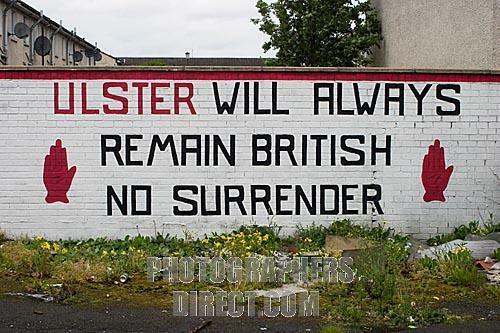 Ulster is the homeland of the Ul;ster nation. We let Donegal,Cavan and Monaghan go in the 20s, because we are democrats, unwilling to suppress people’s rights.